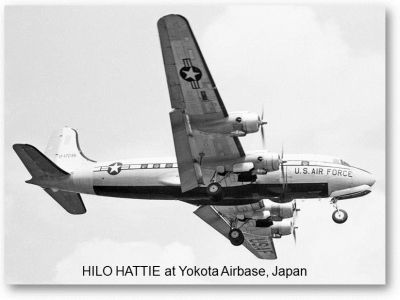 At roughly the same time as the 3d RRU’s Vietnam Flight Detachment began operations, a USAF project called HILO HATTIE also appeared on the scene. The aircraft, to outward appearances a standard four-engine C-54 transport, was one of many platforms modified for special operations under the Air Force’s BIG SAFARI program. Originally configured to fly clandestine reconnaissance missions in Europe, HILO HATTIE carried huge cameras concealed behind pneumatically actuated, quick operating, 24 X 48 inch panels in the exterior skin. In the closed position, these panels fit so tightly that they were unnoticeable even to people walking past the parked aircraft. HILO HATTIE’s principal Asian mission seems to have been mapping the Vietnam/Cambodia border area and attempting to locate enemy base areas using infrared cameras. However, the aircraft also carried HF direction finding equipment. According to one-time HILO HATTIE pilot David Harp, radio operators “could also pick up the radio transmissions of the Vietcong and located their exact positions. The South Vietnamese secret police could then arrest them if they were located in a city. If we located them in the jungle, the South Vietnamese Air Force could bomb them.” An official USAF history shows a total of 102 missions flown over a space of ten months but concludes that the direction finding effort “did poorly.” The C-54 was replaced by another European-based project, a Boeing EC-97 Stratocruiser codenamed BRAVE BULL. Although neither HILO HATIE nor BRAVE BULL appears to have garnered much intelligence in Vietnam, the success of ASA’s airborne direction finding efforts did not escape the attention of Air Force brass. 45-0925, assigned to the 1st Air Commando Group at Eglin AFB, Florida. Nine-two-five had been delivered to the Army Air Force in the last weeks of WWII. For the next seventeen years she served in a variety of utility roles, at one point being configured as a VIP transport. On 24 September 1962 the Warner Robbins Air Materiel Area (WRAMA) was advised that its shops would be responsible for installing a TACAN navigational receiver, additional communications radios, and sundry other items in 925, including a camera mounted in the cabin floor. The camera’s purpose was unstated; perhaps the intent was to photograph the area surrounding a D/F fix location for later analysis. In any case, the installation proved problematic and the aircraft left WRAMA sans camera. WRAMA’s work was to be completed by 12 October in order to meet a 2 January 1963 deployment date. The aircraft departed WRAMA on the 13th, destined for L.G. Hanscom Field, outside Boston, where the classified SIGINT gear would be installed. In its fully developed state, the Sanders ARDF system featured “phase angle discrimination” whereby three triangularly arrayed dipole antennas were used to determine the relative direction of an incoming signal, thus eliminating the need to repeatedly turn the aircraft directly towards the target. USAFSS would later tout phase angle discrimination as the principal feature which made its ARDF system superior to ASA’s aural null system. Sanders was late with delivery, but presumably the “breadboard” HAWKEYE system was installed within a few days of the 2 January 1963 target date. The whereabouts of the HAWKEYE aircraft for first nine months of 1963 cannot be determined with certainty, but circumstantial evidence indicates that 925 initially returned to Eglin for further testing and evaluation of the prototype ARDF system under simulated operational conditions. Other evidence points to a subsequent deployment to Korea, where the camera installation again caused problems. In any case, by 7 October 1963 the aircraft was back at WRAMA for more work. Three days later, the work completed, the aircraft made the short hop down to the USAF Special Warfare Center at Eglin. At some point shortly thereafter, HAWKEYE departed for Asia. 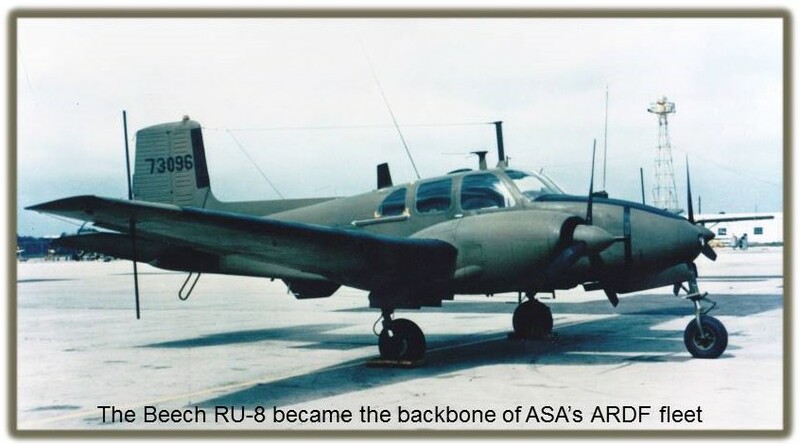 ASA, meanwhile, augmented its modest ARDF fleet with the addition of a pair of U-8 Seminole aircraft. The U-8 (formerly L-23) was a twin-engine Beech Queen Air equipped with the AN/ARD-15 system. The U-8 offered a considerable improvement in performance over the U-6 Beaver and would in time become the mainstay of the Army’s ARDF effort in Vietnam. Until mid-1963, no systematic tally had been kept of ARVN operations based on ARDF. Over the next twelve-month period, though, the South Vietnamese would launch at least 15 operations based on intelligence from the 3d RRU’s flight detachment. Results varied. In late May, a joint USAF/VNAF air strike blasted a major communist complex in the central highlands. The South Vietnamese announced a major success; U.S. pilots were less certain. A friendly village was bombed in the process, killing 14 civilians. Better luck came in late July when an ARDF fix enabled a surprise ARVN attack in IV Corps which claimed ninety VC killed for less than ten friendly casualties. The chances were in fact much greater than even, and the CIA knew it. But if Diem went, who would take his place? And would change necessarily mean improvement? The debate went right up to the White House level, but nobody had the answers. In Saigon, dissident generals hinted that action against Diem might be taken at any time. 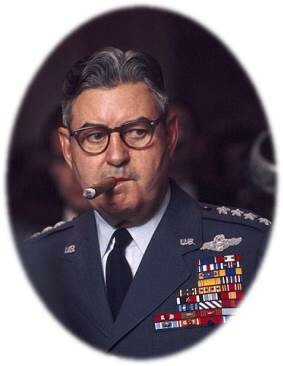 On 28 August, the Saigon CIA station chief cabled Washington that the situation had “reached the point of no return” but more than a month went by before the on-again, off-again coup actually took place. Whatever the degree of U.S. involvement, the murders of Diem and his brother Ngo Diem Nhu in the early morning hours of 2 November 1963 were not in the plans. American leadership too was destined to change; barely three weeks later John F. Kennedy would also fall victim to an assassin’s bullet.